Functional Features: Focusing at the European home and business users, the Angelo offers a wide viewing angle of 150 degrees. It not only swivels up to 90 degrees. 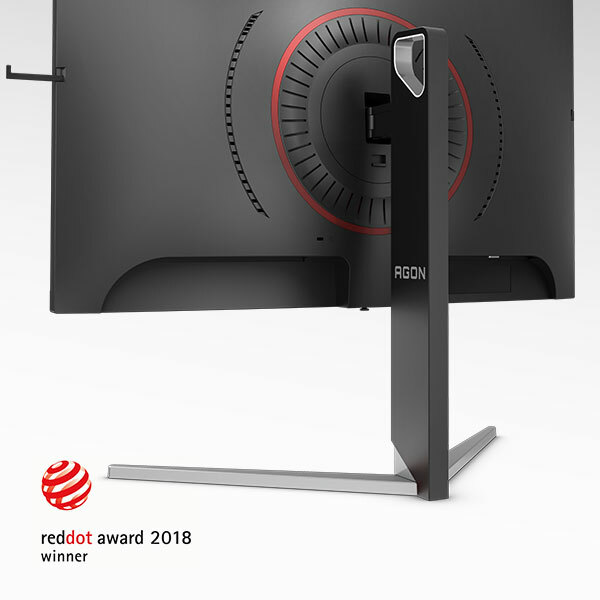 It can tilt backward and slide upward, and downward in the same hinge component, providing users with an ultimate viewing experience while browsing interactive website, or sharing your favorite video clips with your friends. Styling Features: The back of Angelo, supported by an aluminum pole, spreads like a wing. Inspired by the protective and feather light image of angels wings, the Angelo series is accentuated by its clean lines and curvy contour. 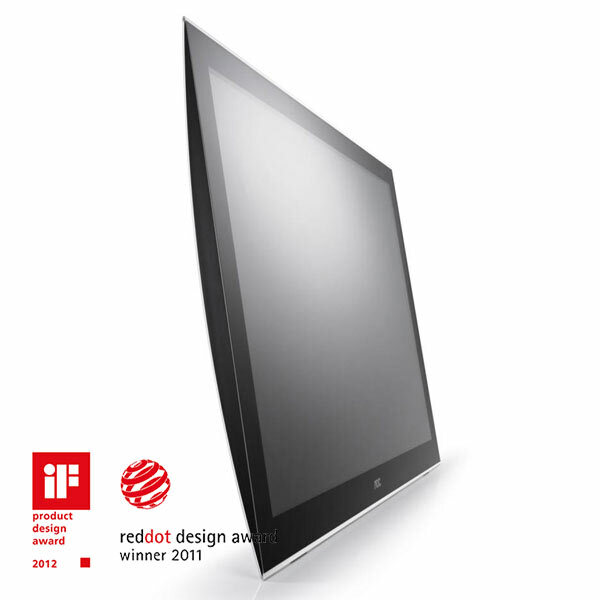 Suitable for both male and female users, its touch panel enables instant interaction among professional users. 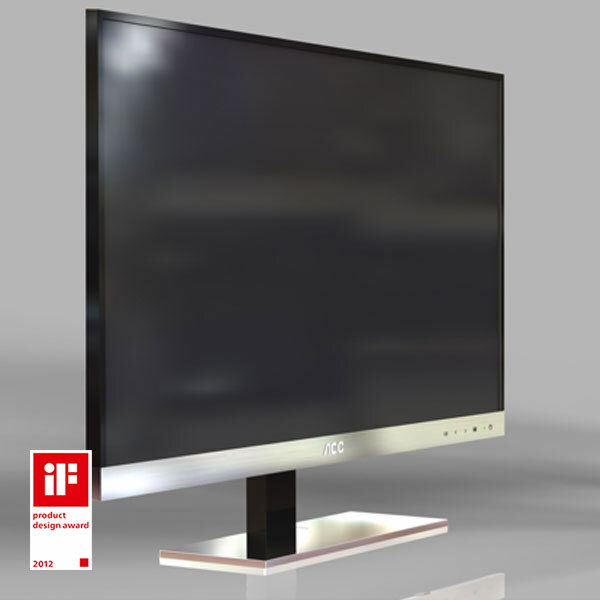 Angelo series is a revolutionary monitor with mobility, user-interaction, and advanced technology. Functional Features: Manufactured in the same hinge component, it can slide to the left and to the right, and tilt forward and backward. The touch panel design adds interactive and friendly features. Styling Features: The slim silver line nicely trims the edge and softens the side view. A nice contrast with the bright color metal base is a coating-free high-gloss surface. A specially designed covered storage for cable management adds a sense of purity and simplicity. 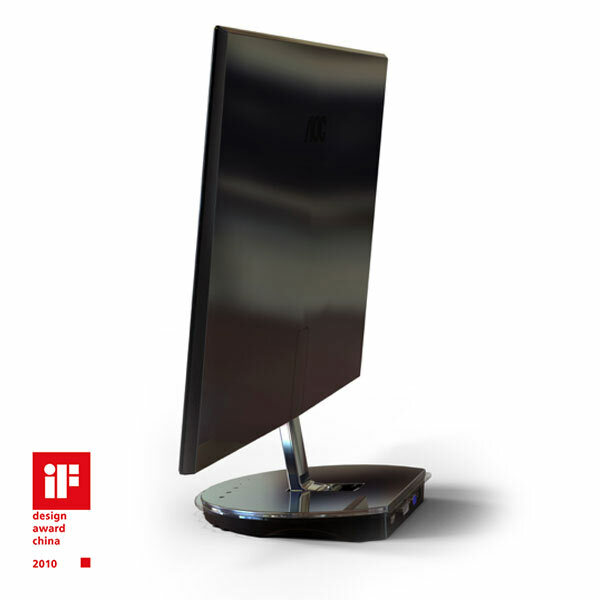 The monitor offers a sleek appearance, making it a perfect fit to any desktop or room décor. Instances like browsing the internet or making your home video, users will never miss the most exciting moment. 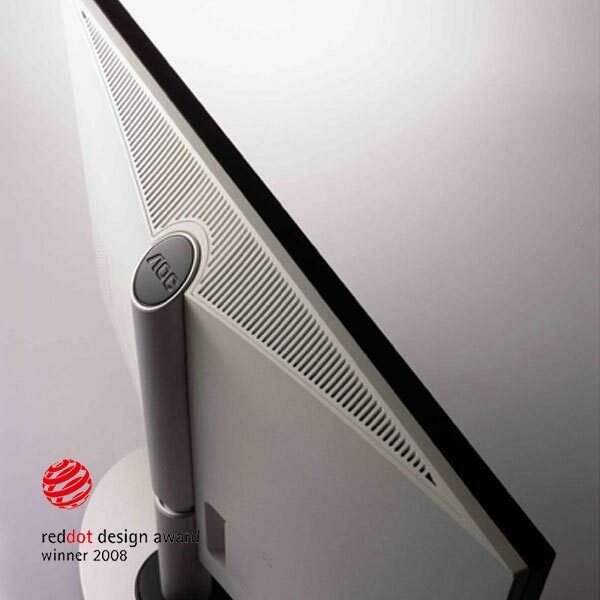 Ultra Slim: AOC Razor’s incredible thinness is only 9 mm, which makes it the slimmest of all current 23-inch monitors. 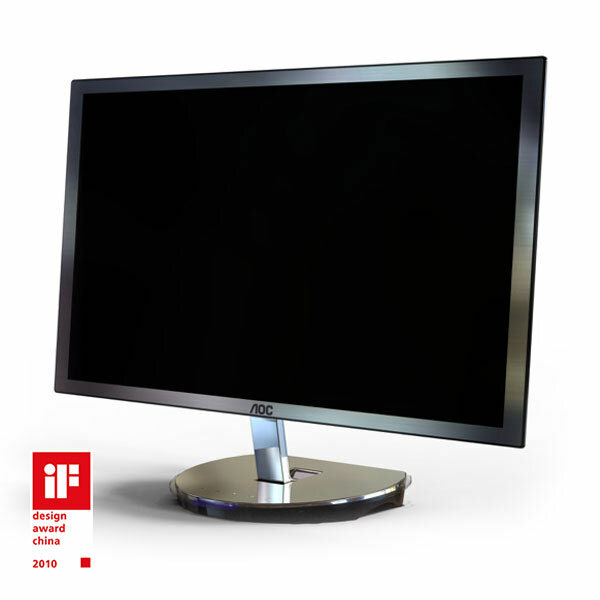 Its minimal thickness is accomplished by truly innovative panel design and the successful separation of the monitor and its underlying electronic circuit boards. AOC Razor has wrapped exceptional high performance in the thinnest-possible body. Simple Style: Its exterior design utilizes metal with a hairline finish. 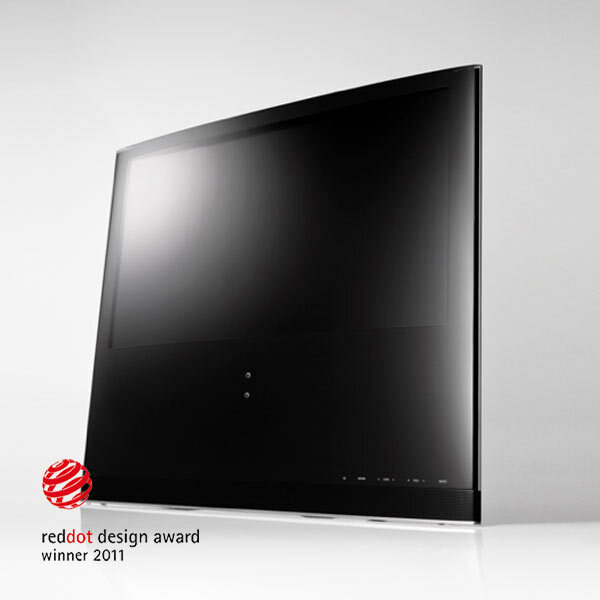 The black mirror surface provides a professional high-tech feeling. Sleek design curve, thin plating neck, and its integration of the tilt-hinge to the base create a simple but elegant style for the AOC Razor. It can also be easily wall-mounted by folding the base. 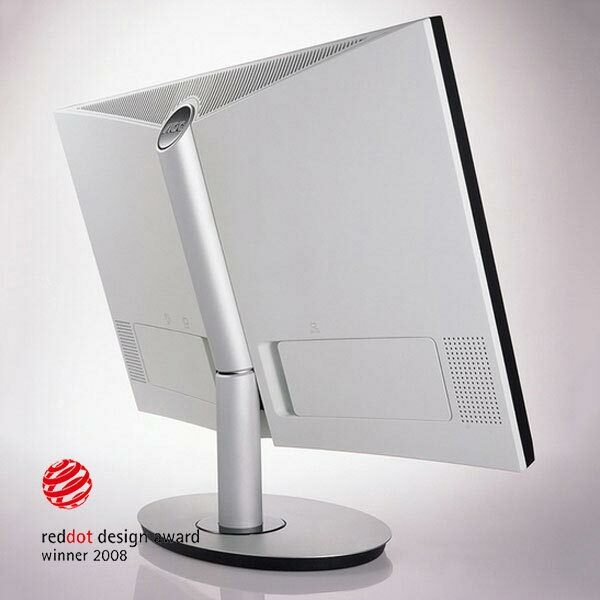 The artistic metallic arm with tilt stretches in a “hook-shape” from the bulge of the rear cover onto the desktop. The arm can be inserted onto the standard function stand or the height-adjustment stand and is easy to detach with a push of a button. Delicate metal and a glossy black finish give the product a high-quality feel. “Transparent art” has drawn much attraction of personal collectors ever since ancient Roman times, more than 2,000 years ago. Its application changed from tableware to the decorative arts. Today, science and technology brought about further changes, which give it value both in “practicality” and “artistry”. 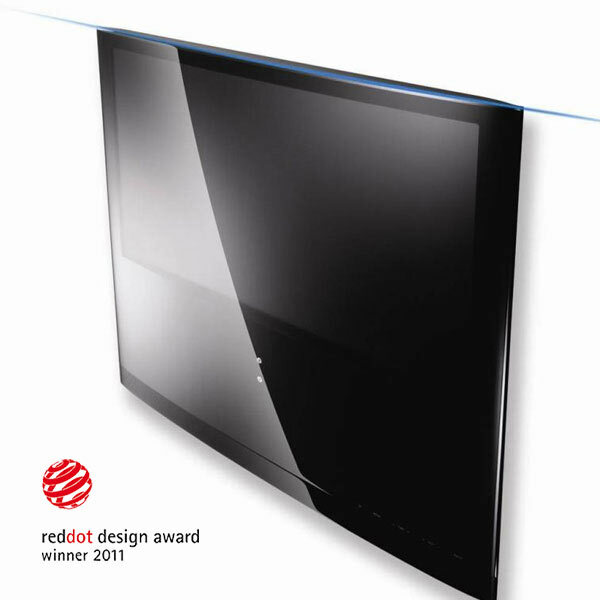 Based on this concept, the transparent image of “melting ice” was applied to AOC Ice Drop TV. When the user touches the “dripping ice crystals”, the LED TV, wrapped in ice, will turn on. At the same time, one will see the ice crystals light up, followed by the touch keys. 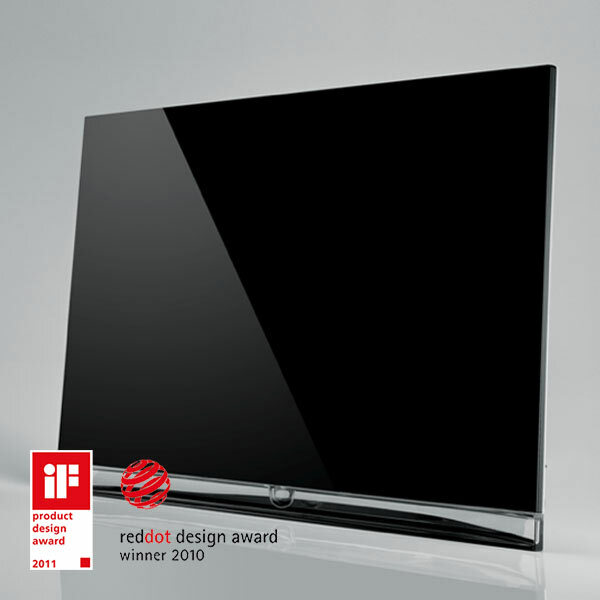 Square TV does not require the additional cost of the thin panel technology for the consumers. 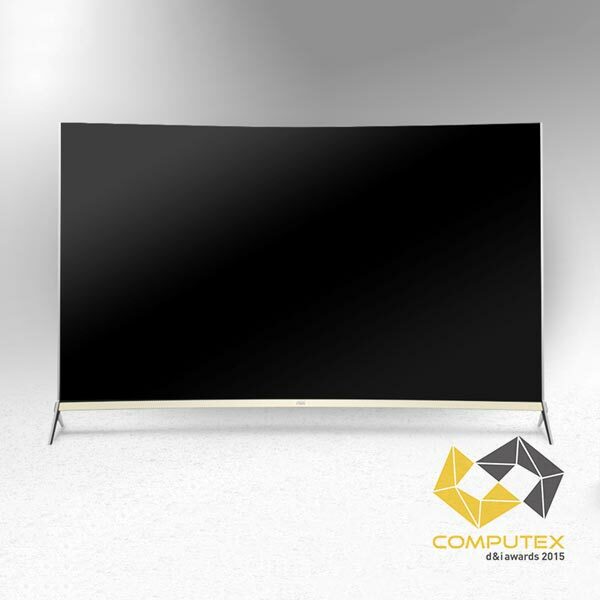 Instead it changes the inner structure of the TV by implementing the main board and power board right under the panel, and uses the steadiness and heaviness of the square shape design to produce the full extensive effects of an ultra-slim TV. Perfect geometry, intuitive inspiration: From the studies of physics and astronomical phenomena by the ancient Greek philosophers, circle is considered to be the perfect geometric profile for circumferential movement, which is also believed to be the most exquisite and coordinated moving pattern. 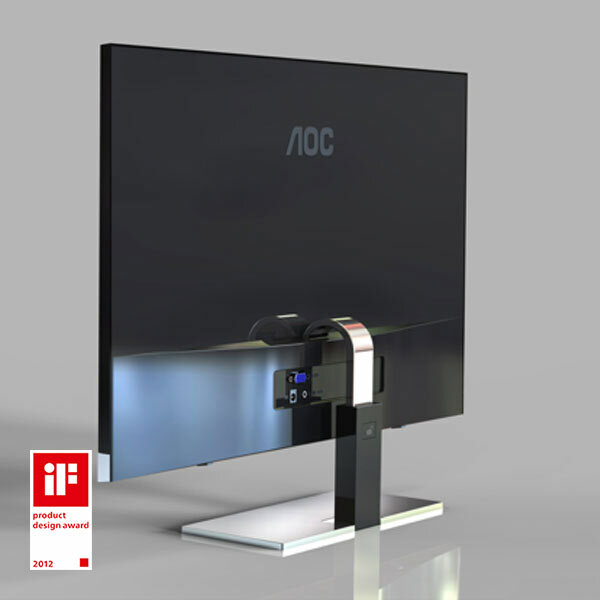 The arc, an unbroken part of the circle, along with the circumferential movement, was the inspirations for the main feature, the sliding stand on the AOC W26SP TV. One slide, three functions: With one swift motion, the sliding stand on the AOC W26SP provides three different functional uses based on its arced shape. Hand grip, wall-mount, and as a TV base. The transformation amongst these three functions is done by a simple sliding action and designed to accommodate various home living environments. Both the 24″ PDS241 and the 27″ PDS271 will appeal to any style-conscious user such as business executives, designers and artists. 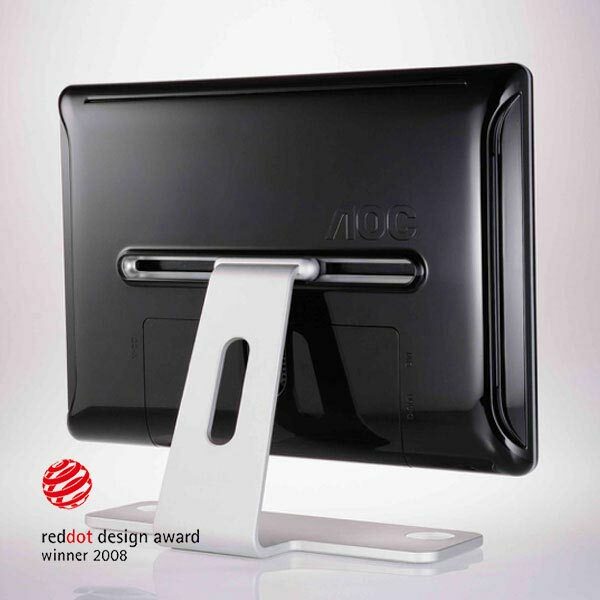 At the front, the well-defined asymmetrical metal stand accentuates the 3-sides-frameless design. Looking from the sides, both these monitors are slimmer than the latest smartphones with a mere 5.2 mm thickness. The Studio F. A. Porsche designed monitors stand out from the crowd with their sleek appearance from the back - both the power and the monitor signal run through the stand and are divided in a separate box. 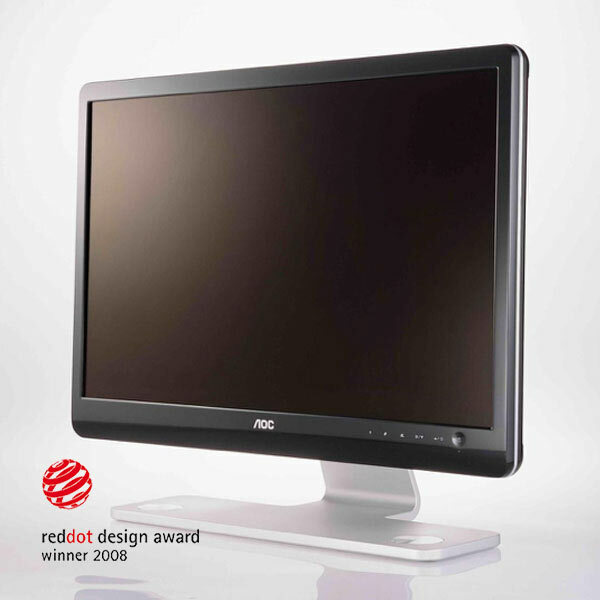 The resulting clean look embodies what a monitor should be all about – the screen. 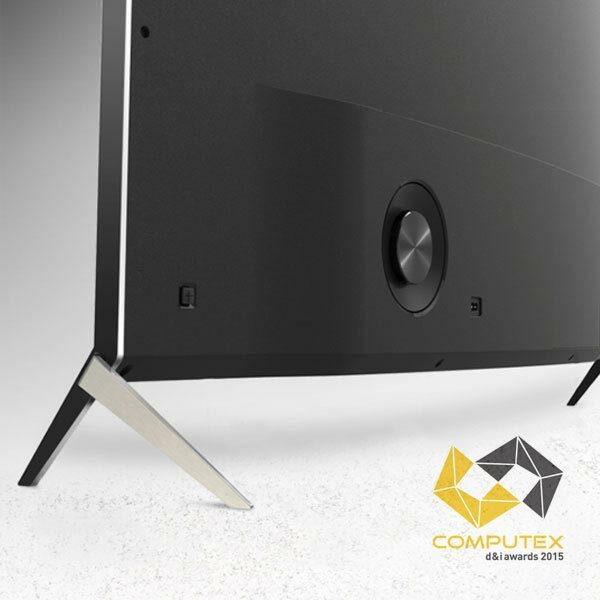 The simple yet bold design of the X-Series curved TV creates a perfect viewing angle and expanded visual experience for users to immerse themselves in a high-quality picture and sound feast. Inspired by the idea of interweaving, the frontal sound bar providing its most prevailing finishing treatment is designed like a bending belt that crosses over both sides of the gleaming metal frame as a pair of feet, boasting the X-Series’ perfect setting. It’s simple design exhibits a modern look, while the sophisticated details make it stunning for users seeking a truly unique piece of craft to stand out with a sense of unmatched beauty. 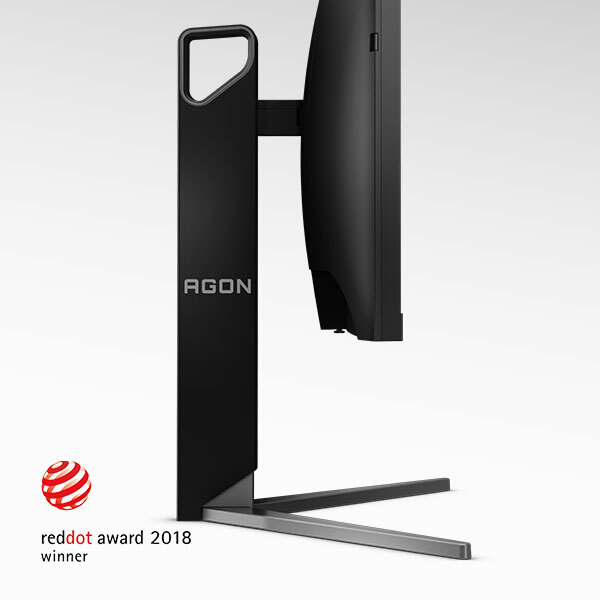 The AOC AGON 27” Gaming Monitor (AG273) was recognized for its outstanding design. The technical styling of the back cabinet with a circular-ring neon light belt, enhanced with vent lines diverging from the center, expresses dynamic performance. The pure, slim vertical neck brings innovation through the integrated handle and simple disassembly from the visually strong, compact ‘V’ stand base piece. The multi-functional stand can be simply disassembled for easy portability. The earphone hook rotates for concealment. Once disassembled the monitor and stand fits effortlessly into an optional travel case for protection. 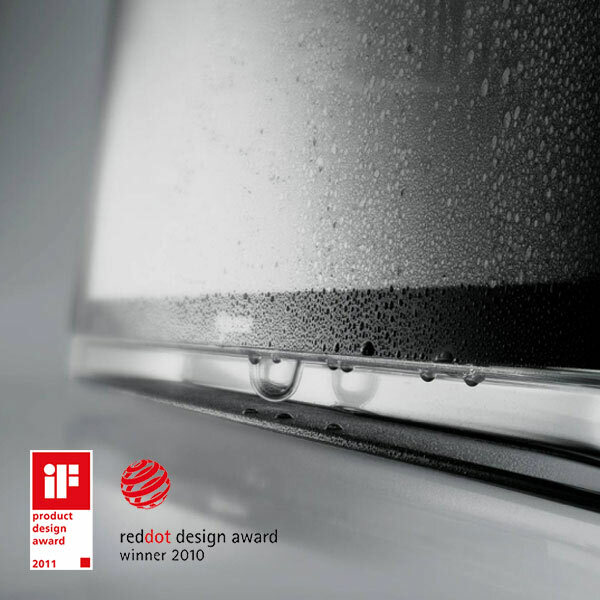 Besides the excellent products, you deserve the best design. 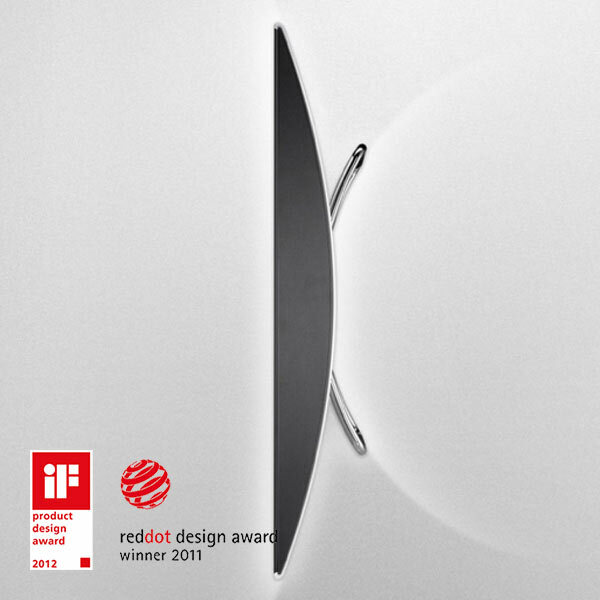 Check out the AOC products recognized internationally by the most respected design awards in the world: IF and Red Dot. One of the first to produce color television sets. Admiral sells 5 million television sets. Admiral Overseas Corporation (AOC) established in Taiwan: first manufacturer of color television for export. Admiral Overseas Corporation renamed to AOC International. Admiral's last year of production in USA. Direct marketing begins under AOC brand name. 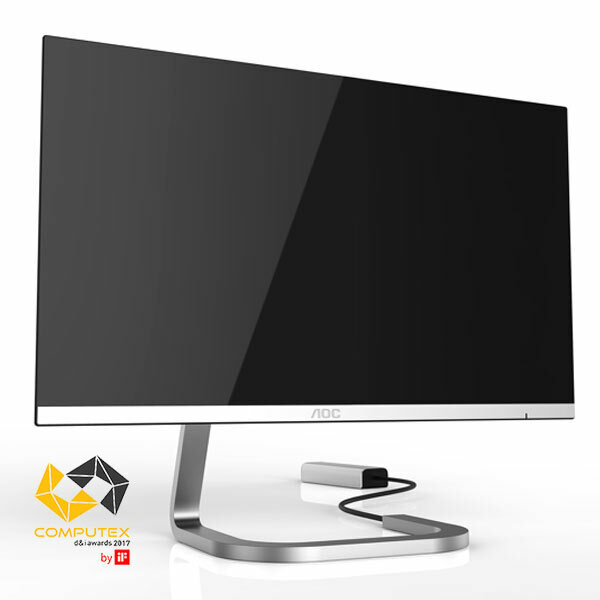 AOC establishes sales offices selling monitors in the US, China, Europe and Brazil. 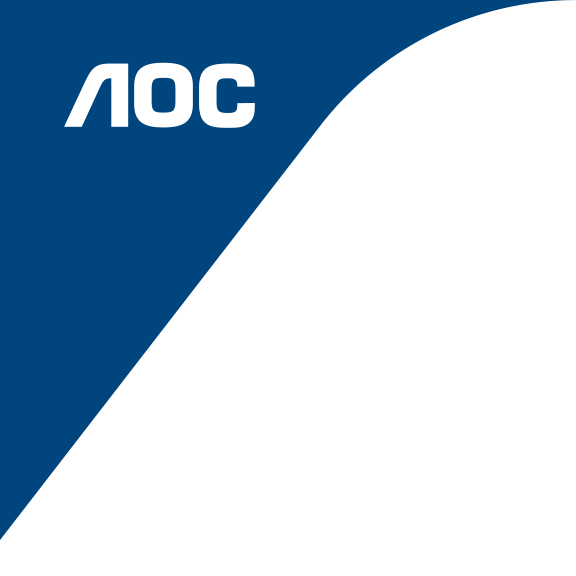 AOC launches in New Zealand and Australia. 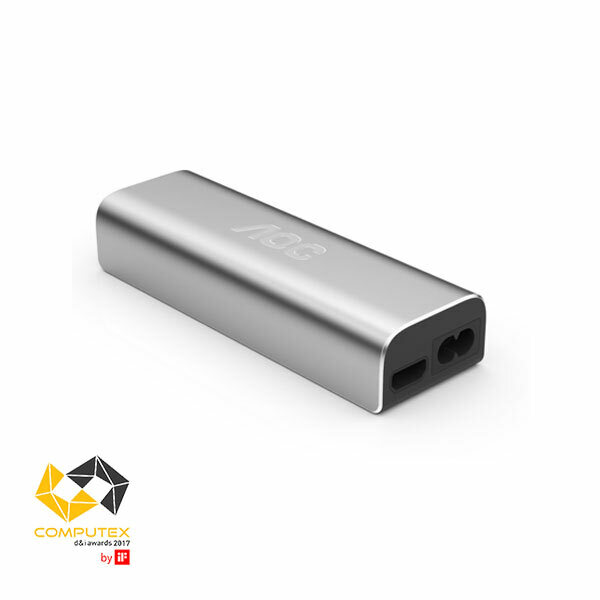 AOC is now selling in more than 100 countries worldwide. Premium line of AOC gaming monitors, keyboards and mice.